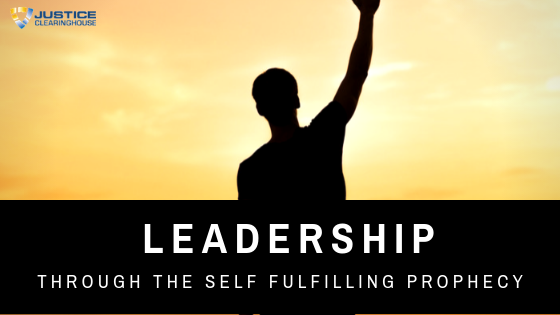 Leadership Through the Self-Fulfilling Prophecy is a training session that will take the concept of leadership into the area of communicating expectations for those you lead, but with a different approach. Instead of just telling people what you do and don't expect from them, and expecting them to align themselves, you can use the self-fulfilling prophecy as a communication method that actually helps people think differently about their actions and behaviors. This course will teach attendees how the self-fulfilling prophecy works, and how a leader or manager can apply it to their employees or team members in a positive way. We'll talk through examples of changing your usual messages into new ones that produce better results. Participants will learn practical and applicable techniques and will apply these between workshops; outcomes will be explored during part two, and feedback will help reinforce the power of the words used by a leader. Amy Morgan is the founder and Executive Training Director of Academy Hour, a training provider offering mental health & leadership courses to law enforcement, first response teams and public safety personnel, as well as corporate teams. She is pursuing a Ph.D. in Psychology, specializing in Trauma & Disaster Relief, has earned a Master's degree in Counseling, and holds a Bachelor's of Science in Behavioral Sciences. 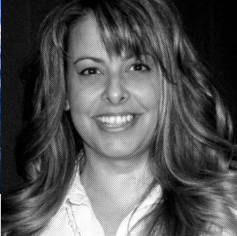 She previously served as the Training Officer for the Oklahoma State Bureau of Investigation. Ms. Morgan is LEFR (Law Enforcement First Responder) certified. Ms. Morgan serves as a curriculum developer and instructor of mental health courses for the Council on Law Enforcement Education and Training in Oklahoma. She is the official mental health trainer for the Oklahoma County Sheriff's Office & SWAT, the mental health trainer for the Moore, OK Police Department, the strategic training partner for the Oklahoma Association of Chiefs of Police, mental health trainer for the Oklahoma Sheriffs' and Peace Officers' Association, and also is a designated training provider for the Oklahoma Sheriffs' Association membership. The theory behind the self-fulfilling prophecy is that someone's actions can be guided by an expectation or belief placed on them which causes them cting/behaving in a way that matches the expectation. This is a powerful method of communicating expectations to someone in a way that actually helps them believe they are capable of the new behavior. How leaders send messages and convey expectations through repetition. Homework will include viewing several videos of leadership examples where the self-fulfilling prophecy has influence. A wf-fulfilling prophecy has influence. A workbook PDF is also provided to attendees, and the workbook pages associated with this half of the workshop will be assigned for purposeful thought and self-application between workshops. Participants will submit some responses to the instructor for discussion in Session Two. There is also a post-test which the instructor will assign for submission after the workshop – this will help reiteer the workshop – this will help reiterate the learning, indicate gaps in retention, and communicate the participants’ application of the material to the instructor. This seminar series will be presented through remote webinars using the GoToWebinar network. You will be able to attend the sessions from any internet connected computer. Each session will be recorded and this recording will be made available to registrants for 30 days following conclusion of all sessions. Once you registe either provide payment information or request an invoice. You will receive login instructions upon receipt of payment. Full refunds will be granted up to one week before the start of the first session. We will NOT be able to grant ANY refunds after that. Please provide information for the person that will be attending the series below.